BARCELONA, Spain -- Nearly 20 minutes into the latest clash between Spain's most popular football teams, Barcelona's 98,000-seat Camp Nou stadium erupted into a deafening roar. Tens of thousands of Catalans in the city at the heart of their separatist movement chanted in unison: "Independence!" More than ever, FC Barcelona, known affectionately as Barca, is living up to its motto of being "more than a club" for this wealthy northeastern region where Spain's economic crisis is fueling separatist sentiment. Lifelong Barca club member Enric Pujol was at Camp Nou for this month's game against Real Madrid, the team of Spain's capital. Wearing his burgundy-and-blue Barca jersey, Pujol also held one of the hundreds of pro-independence "estelada" flags, featuring a white star in a blue triangle, which bristled throughout the stands. "It was a beautiful emotion to see Camp Nou like that," said Pujol. "Barca is more than a club because of the values it transmits. 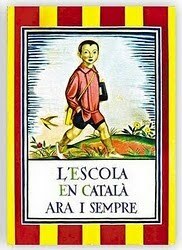 It is linked to Catalan culture. In this sense it is a club and a social institution that acts like our flag." Barca has been seen as a bastion of Catalan identity dating back to the three decades of dictatorship when Catalans could not openly speak, teach or publish in their native Catalan language. Barcelona writer Manuel Vazquez Montalban famously called the football team "Catalonia's unarmed symbolic army." Barca-Real Madrid matches have a nickname: "el clasico" – the classic – and they are one of the world's most-watched sporting events, seen by 400 million people in 30 countries. But local passions run high. In Spain, where football has deep political and cultural connotations, many see the clashes of Spain's most successful teams as a proxy battle between wealthy Catalonia and the central government in Madrid. If Barca is a symbol of Catalan nationalism, Real Madrid is an emblem of a unified Spain. "Look, the truth is that ever since the Civil War there has always been tension in Spain," said Pujol. "Having traveled in Spain, they always look at us as Catalans." Ahead of kickoff before any "clasico," Camp Nou traditionally greets Real Madrid players with a huge mosaic of Barcelona's burgundy-and-blue stripes made up of colored cards. This year, for the first time, they held up cards forming the red-and-yellow striped Catalan "senyera" flag – an explicit nationalist message. (Barca says it can neither confirm nor deny reports that its away uniform next season will be modeled on the senyera.) Then came the crowd's collective shout for independence at 1714 hours – in reference to the year 1714 when Barcelona fell to the troops of Philip V in the War of Spanish Succession. It was organized by a pro-independence group through social media. Barca fan David Fort sees his team as a vehicle to show the world that Catalonia has its own language and culture, which is distinct from what he called the "bulls and flamenco" associated with Spain. "We have this love for Barca because we have the chance to be represented around the world," said Fort, a 38-year-old architect from the southern Catalan town of Tarragona. "When we travel and they ask me if I am Spanish, I say not exactly, but when I mention Barca they say `Ah! The Catalan team', and of course since they are champions you feel proud." Barca, like every institution in Spain, was marked by the Spanish Civil War of the late 1930s and resulting right-wing dictatorship that ended after Franco's death in 1975. Franco's soldiers killed Barca's club president in 1936, and the club was forced to change its name from a Catalan to a Spanish version. And while Real Madrid was identified with the regime, Barca, for many, came to represent Catalan anti-fascist resistance. "Under Franco, people could not shout `Long Live Catalonia!,' but they could shout `Long Live Barca!' (¡Visca Barca!)" in Catalan, said Ernest Folch, a newspaper columnist who writes about Barca for El Periodico. The chant became a kind of code for expressing Catalan pride. "Barca is an anomaly. There is no other club with its particular history," said Folch. "It survived the Franco dictatorship, and has always been a focal point for protest and ferment where sport has mixed with politics." And politics is a very hot topic these days in Catalonia. Voters will go to the polls on Nov. 25 in regional elections sure to be judged as a litmus test of the strength of the pro-independence movement that brought 1.5 million people to the streets of Barcelona on Sept. 11 in the largest rally since the 1970s. Catalonia is heavily in debt and has in fact asked Spain for a (EURO)5.9 billion ($7.5 billion) bailout. Even so, regional lawmakers voted on Sept. 27 to hold a referendum on self-determination at a date still to be determined. And although it is still unclear that a "Yes" vote would win, Spain's central government has called such a referendum unconstitutional and will surely try to stop it from taking place. That all puts Catalonia, and therefore Barca, in the midst of Spain's struggles to deal with consequences of back-to-back recessions, 25 percent unemployment, and high public debt that has drawn it into the euro crisis along with already bailed-out Greece, Ireland and Portugal. Barca's appeal, of course, transcends its regional identity. The team is beloved throughout the world, and a poll last year found that it had displaced Real Madrid as Spain's most popular team. Barca has 546 fan clubs in Catalonia, and 841 in the rest of Spain. Some of these fans_ even in Catalonia – disagree with what they perceive as the political turn the club has taken in recent years. "It's surreal to talk about these ideas related to independence," said fan Jamie Easton, 27, a Spaniard born in Barcelona to a British father and a mother of Catalan descent. "Barca is a Catalan and Spanish club because Barcelona is part of Spain, and fans can feel however they want." The upswing in separatist sentiment in Catalonia has forced both the club and its players_ many of whom form the backbone of Spain's world champion national team – to try a difficult balancing act between supporting their most fervent pro-independence fans without alienating the millions of others who are not. "We are Barca. We represent Catalonia and we will support whatever Catalans want," said Barca and Spain midfielder Xavi Hernandez. But he added: "We try to isolate ourselves from everything outside the game. We know the political issue is there, and the people have the right to express themselves however they wish, but we are here to play football and make sure people have fun." The glaring exception to the moderate tone is former coach Pep Guardiola, a hugely popular figure in Catalonia, who appeared in a video during the Sept. 11 march saying: "Here you have my vote for independence." Two weeks after the politically charged "clasico," Barca president Sandro Rosell made his first official visit to southern Spain to cool tensions at a meeting of Barca fan clubs. "I don't know what information you are receiving here, but I preferred to come here and say on behalf of the club that Barca will never get mixed up in political issues," Rosell told the 1,000 Spanish fans, promising that Barca would never display a mosaic of the separatist "estelada" flag at Camp Nou. "This doesn't mean that this isn't a Catalan club and that of course we will defend our roots and origins, but one thing shouldn't be mixed with the other. One thing is politics and the other is identity. Barca unites us all."